Hello, I wanted to get fellow member opinions as to the reference number of this Nautilus. 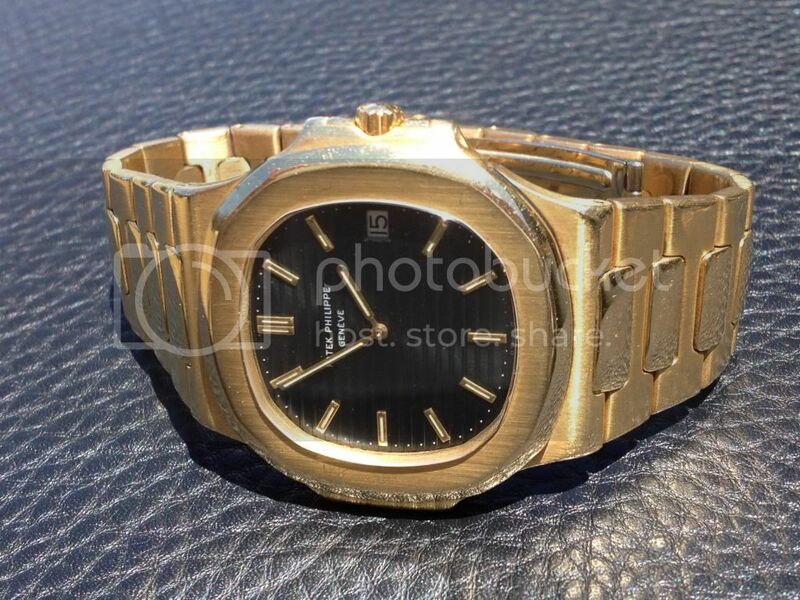 Its an automatic, yellow gold, thats very heavy. I believe its the Jumbo 3700/1. Is that correct? Also, does anyone have a list of all the early Nautilus reference numbers, with perhaps photos? I can't seem to find much via google, and I've used the search function here as well. BTW, I am an old time member here. Maybe around 1999. I went to a really fun Patek timezone forum member dinner. Lots of fun, Osvaldo Patrizzi was there. Fun crowd.